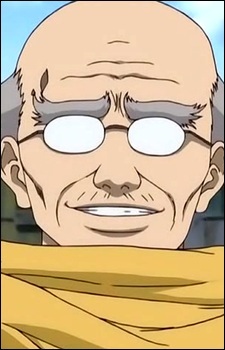 Hattori Zenzo's father, who was a highly skilled ninja and member of the Oniwabanshuu. He was said to be one of the most formidable warriors within the Oniwabanshuu, and that as a teacher at Ninja School, he brought up all of the renowned ninjas in Edo of today. He liked to play Kick-The-Can, and came back as a ghost to play with the Yorozuya in Episode 48, the same episode in which his funeral was held.